Useful links are an essential part of an optimized digital user experience. This includes making your links easy to understand and making them accessible. At level AAA of the WCAG, a link must be clear from only the link text itself to pass Guideline 2.4.9: “Link Purpose (Link Only)”. Want to learn more about accessibility best practices? 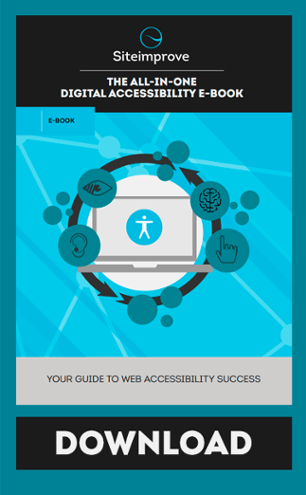 Download our All-in-One Accessibility E-Book to learn more about web accessibility. Luke McGrath is a writer and Web Accessibility Consultant. He created Wuhcag.com to help web developers learn more about web accessibility and wrote the book ‘How to Meet the Web Content Accessibility Guidelines 2.0’, now in its second edition. You can find out more at www.wuhcag.com.